The beginning of monsoon session of Parliament has read like a cliffhanger, with usual heavy punches and counter punches thrown in by Opposition vis-a vis- the government. The high voltage drama of the 27th no confidence motion brought in by the TDP supported by the congress party, though without any seriousness or consequences was enough for scoring many political brownie’s point. The Congress led by Rahul Gandhi showed very strong signal of re-emerging as an alternative to BJP-albeit supported explicitly by the regional satraps. What stood out in the Monsoon session was the palpable anger at Justice Goyal’s, who delivered the c controversial judgment on March 20 which overrode the written law to grant anticipatory bail to those accused of Dalit atrocities, appointment as the next Chairperson of the NGT-an apex body that looks into environment matters- for the period of 5 years. While debating in the no confidence motion Firebrand Muslim Leader ASADUDDIN OWAISI belonging to AIMIM in his 7 pointed question brought this appointment as BJP ‘rubbing salt into the wounds of dalits’ which is ironical given that the party champions the cause of dalits but have not brought an ordinance yet to scrap the dilution of SC-ST act by the ruling of justice Goyal. Bandwagon effect against Justice Goyal’s appointment? – a political expediency or necessity? The last few days have been quite hectic for the NDA, which is surprising as the ruling party are not supposed to show any chinks in their cohesive unit. But with Justice Goyal’s appointment NDA unity has given way to underlying tension within the ruling coalition. Firstly the Union Minister and LJP chief Ram Vilas Paswan had expressed his displeasure over Justice Goyal’s appointment, and in meeting over a dinner with 24 MPs of NDA the LJP chief said that these MP’s have expressed their “displeasure and anger” and the appointment has sent a ‘wrong message’ to the SC/ST population, that the BJP is working against the ‘dalits and adivasis’. He further stated that there is going to be a massive protest if the Appointment is not withdrawn. Echoing the similar line the Dalit face of BJP and North-West Delhi MP Udit Raj stated that the appointment has come as a rude shock to the dalits and government can see a massive agitation in near future against it. This is quite flummoxing for the BJP. As this is the same Mr Paswan who had called Una flogging (2015) a Minor incident. The incident though had serious repercussion on the national politics in general and revival of Dalit Movement in particular. The incident also catapulted Jignesh Mevani, convener of Rashtriya Dalit Adhikar Manch into national limelight and became a unifying force for Dalit resistance. So why has Mr Paswan suddenly decided to spring into action and project himself as the messiah of SC community? The answer may lie in the fate of NDA as an alliance leading upto seat sharing for 2019 election. Ever since Nitish Kumar led JD (U) joined NDA front, the seat sharing agreement in Bihar has gone for a toss, With each coalition partners wanting a respectable number of seats in the Loksabha elections. The interest of LJP is directly in conflict with JD (U) as the two sees itself as the frontrunner to be considered as the second fiddle, with BJP at helm. The ambition of Nitish Kumar though is to play the role of ‘big brother’ and corner for itself the highest number of seats; the arrangement it had in 2009 general election, which will be kowtowed by the BJP at all cost, given how JD(u) needs BJP to shore its relevancy and not the other way around. But politics is unpredictable. Moreover congress sending feelers to the biggest Dalit’s lader-and self-proclaimed true inheritor of the legacy of Babasaheb- BSP’s Mayawati, that it is not averse to projecting her as a potential PM candidate, has made Paswan look for ways to strengthen his claim of being a leader of all the section of SC community and not only the dominant Paswan community. With Tejaswi yadav hinting few months back that Mr Paswan can come back to the grand alliance, if he feels his voice has been sidelined in the NDA, has given fodder to the mistreatment of Dalit leaders in NDA. Similarly is the case for the 24 Dalit MP’s and most notably for Udit Raj which the BJP has continuously highlighted as the leader and poster boy of Dalit’s place in BJP’s scheme of things. This however went into awry with many a fringe element associated with BJP and its ilks openely commiting atrocities on Dalit. At the best this sudden outburst is a face saving gesture and stop gap solution to quieten the growing anger and to shed its anti-Dalit image. Anger misdirected towards Justice Goyal? In another development Mr Paswan wrote a letter to the Union Home Minister Raj nath singh demanding immediate removal of the NGT chairperson. His son and MP Chirag Paswan is also learnt to have reiterated his father’s demand in a letter written to the PM Modi. In march of this year a Supreme court Bench headed by Justices Goel and U.U. Lalit had watered down the provision of SC/ST act stating that it was “to protect public servants and private employees from ‘arbitrary’ arrest under the 1989 Scheduled Castes and Tribes (Prevention of Atrocities) Act which in retrospective took the legal recourse available to SC/ST population to protect themselves from discrimination. Violent protest erupted all over the country by the Dalit organizations and people who felt that it went against the spirit of constitutionally provided safeguards to the SC/ST population. 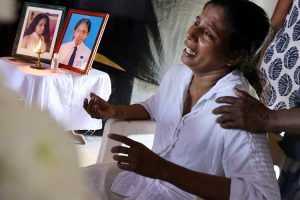 Destruction, damage and deaths later, the government filed a review petition challenging the verdict. The matter is now in the Apex court to be heard by another bench. What is ironical in this situation is that the NDA’s Dalit MP’s chose to target the appointment of Justice Goyal whereas there is no protest against the continuance of Justice UU Lalit. Moreover it was the same bench of Justice UU Lalit and Justice Goyal which in July 2107 had ruled “to bar immediate arrests under section 498A (the anti-dowry law) unless a three-member family welfare committee gave its nod”. The bench then had used Article 142 (apex court gets extraordinary powers to render complete justice to aggrieved party) to Dilute anti-dowry law. The verdict was again challenged in Supreme Court and the hearing is scheduled in 3rd week of July 2018. Where were the MP’s then? Didn’t it hurt their conscience? The Congress MPs also raised the appointment of the chairperson in the ‘question Hour’ on Thursday with the LoP Malikarjun Kharge taking charge and MP K Suresh outrageously claiming that Justice Goyal was awarded for his judegment on SC/ST act. The NGT act stipulates that a chairperson has to be appointed “by the central government with the consultation of the Chief Justice of India”. 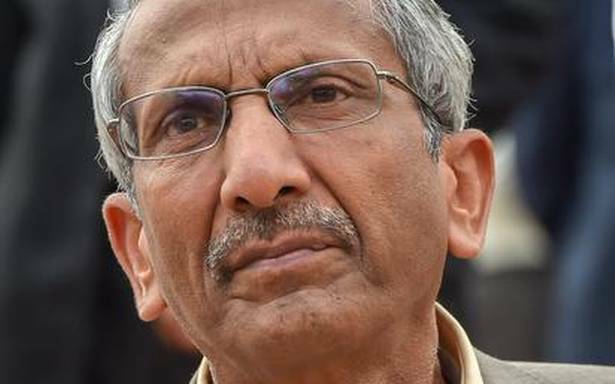 Since December 2017 the NGT has been without a permanent chairperson after the retirement of Justice Swatantra Kumar-person often credited with strengthening the NGT as an institution much more than the Act stipulated it to. In the interim of his retirement the NGT saw to acting Chairman. The prospect of not having a full time chairman is alarming for an institutional like NGT, which overseas cases related to environment and is vested with power under Schedule 1 which is related with laws pertaining to water, air, forest, biological diversity etc. with so much of crucial issues at stake and crucial vacancies still to be filled the tribunal has been functioning with just one court whereas at its full strength it has the capacity to have three functioning court at its principal bench. So many important cases such as “Ganga and Yamuna rejuvenation plan, Volkswagen emission case, felling of tress in south Delhi, air pollution and challenges to various development project” is stalled and is pending. The appointment of Justice Goyal has been done after following all the procedure and was much needed to fill the position of NGT chair to make it fully functional to continue its crusade against environment crimes. The various NDA’s MP who has woken up after 4 years of political bonhomie and paid vacation with BJP, the protest against Justice Goyal’s appointment is the classic case of ‘running with hair and hunting with hounds’. The advice is to, instead of watching from the distance join the masses in opposing the draconian anti SC/ST law by quitting BJP en masse. Till that doesn’t happen, stop cribbing and continue with the coalition. Politicians of mainstream parties work for their own selfish gains. The dilution of SC/ ST act by shortsighted judicial verdict has aroused all the oppressed classes to agitate. This made the vote conscious rulers panicky and wanted the matter to subside soon. Opposition had to bow to the situation. Many cases on the SC/ ST agitators have not been withdrawn.